Browse our site and find the items you would like to purchase. Choose your preferred colour and size, or other options. Please ensure that a secure delivery address is given as we cannot take responsibility for lost or stolen parcels unless the parcel is sent by courier with signature on delivery. Phone Orders: Australian customers can call us during business hours 10am to 5pm Monday to Saturday WST on the numbers as showin in the header and contact pages for information or to place an order. All prices are shown in Australian dollars. We welcome orders from oversaeas customers, prices for orders to overseas destinations will automatically be calculated NOT INCLUDING GST. We will not process your order until after we contact you with freight options and costs. We may also show other payment options in the checkout. You should receive your order within 2 to 14 days depending on your location and delivery method. We provide post and courier tracking numbers for follow up after your order has been processed. Orders to international destinations are not liable for GST and prices will be calculated at less than that shown on the site. International desinations include Cocos Islands, Christmas Island and Norfolk Island. 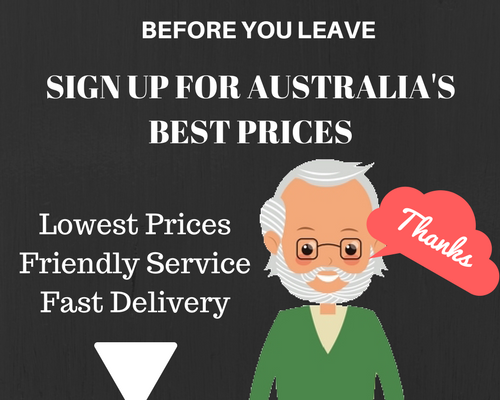 The total price of your order will include the 10% GST at the start of the checkout. However, this will be reduced when your international delivery destination is specified and we automatically deduct the Australian GST from your order. We accept all returns within 14 days from when the order is sent. We will not refund purchases or replace items where the items are damaged after payment has been finalised. If you change your mind about the purchase after payment has been finalised we may offer a store credit for the returned item within 21 days of the original purchase, not including freight and postage costs. Please ensure all returns are in a new condition and are fit for re sale with all packaging and retail swing tags in place and undamaged.